Fully qualified and certified. 20 years industry experience on some of Tasmania’s biggest plastering projects. All insurances and work done to current Australian Safety Standards(WhiteCard). Local business employing locals. Call 0499336189. There are many more examples but there are to many to list over a 20 year career. Call Now and Lets Phil Those Cracks Today! Thank you very much, Phill you gave me great advice. You are really great at what you do. Keep up the good work. Plastering is a skill that not a lot of people have. You know how to plaster like a professional and do excellent drywall repairs. Stunning work Phill you are the best in the industry and I will always make use of your services. If I need drywall repairs done or plastering work done you are the man to call. Well done thank you very much for your plastering advice. You know how to teach plastering 101. I can honestly say that you deserve the award for best plasterboard expert. Your plastering tips really helped me a lot and your advice about drywall repair worked like a bomb. Thank you so much. I’m sure that many people have found your services to be outstanding. 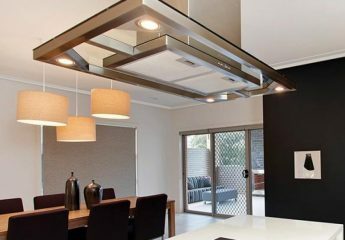 The quality of your work is exceptional and the best in Tasmania and Austraila. I’ve worked with many drywall and plaster experts, but Phill you are the best and very professional and the quality of your work is outstanding. Amazing is all I can say. Phill knows how to do drywall repair and plasterwork like a pro. You are the go-to person for plasterboard work. Very much satisfied with the work that you’ve done and I’m sure that the drywall you’ve installed will last for many years to come. Phill you are an expert.